Just a couple of flower photos to brighten your day. I hope everyone is having a great weekend! I used photoshop to adjust the curves of these photos. 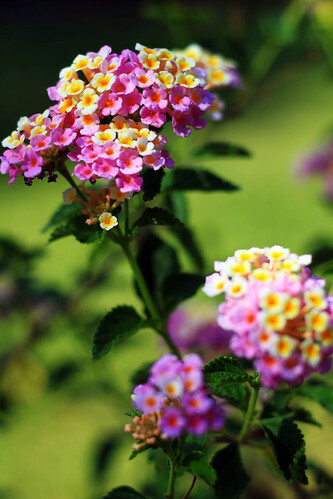 I didn’t change the lantana photo much. 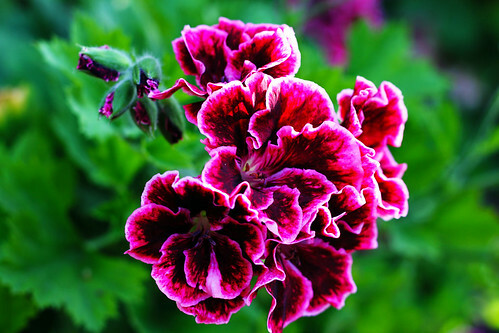 I was able to bring out the white edges of the purple geranium which really helped the photo. After playing with photoshop I am beginning to see how it is used in other blog photos. I still have a long way to go, but the whole process is becoming less intimidating. This entry was posted on Saturday, May 16th, 2009 at 3:00 am and is filed under Garden. Tagged: Garden. You can feed this entry. You can leave a response, or trackback from your own site. That purple geranium really does pop now! !